We work to improve the lives of underprivileged children and young adults in southern Malawi by initiating or supporting educational, medical and youth employability projects in rural and urban areas. 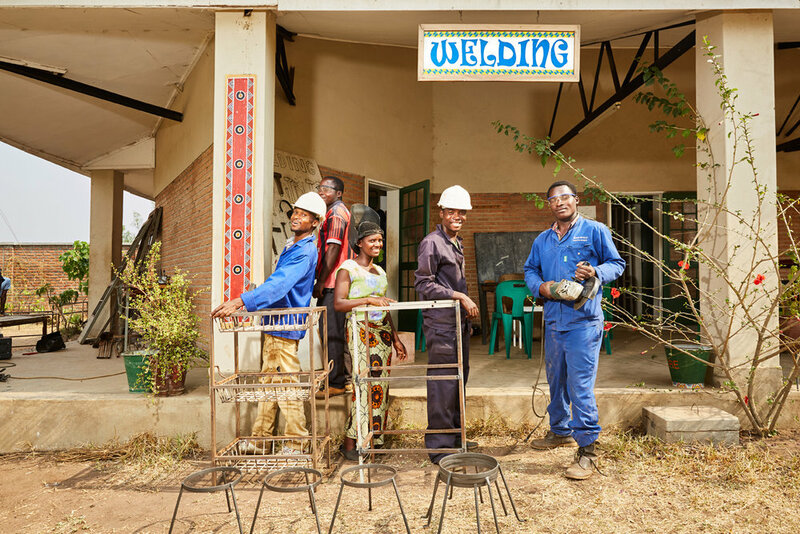 We believe the only way to improve the general welfare of children and young adults in Malawi is to provide them with the chance to go to school, to eat at least one meal a day, and to teach them tangible vocational skills. Our aim is to provide the next Malawian generation with a self-reliant future, so that they, in years to come, can help themselves. Advocate and foster the education, health and well-being of children and young adults in Malawi. Provide educational and medical assistance for children and take all other measures to improve their welfare. Establish, maintain, support and manage educational and medical institutions, provided that these are created for the aims and objectives of the Children’s Fund, on a non-profit basis. Transfer ‘ownership’ and responsibility for CFM projects to local Malawian management as soon as these projects are sustainable. The building of an Accident and Emergency ward and 24 hour Short Stay Ward for children at the Queen Elizabeth Central Hospital in Blantyre. The building of Moyo House, an extension to the Nutritional Rehabilitation Centre at Queen Elizabeth Central Hospital in Blantyre. The distribution of medical equipment to paediatric wards of hospitals in the southern region of Malawi. Salary support to paediatric nurses at Queen Elizabeth Central Hospital in Blantyre. Feeding vulnerable children (2-5 yrs old) and the elderly during the famine of 2003/2004 in the Thyolo and Chikwawa region. Renovation of Chiuta and Bvumbwe orphanages. The building of teachers homes and classrooms at Chigonjetsu School. The building of over 70 gowelos: traditional, individual homes for orphans. The building of Green Malata: an entrepreneurial training village for children and young adults.